In this simple, and straightforward guide, I am going to break down the main differences, as I see them, between local and organic promotion when it comes to ranking in Google Maps. My hope is that by the time you finish reading this, you will have a more clear path to victory, wherein you’ll be able to make more educated decisions when it comes to resource and budget allocation. Putting your effort in the right spots will not only save you time and money, but as anyone in SEO knows, can also save your sanity. It never ceases to amaze, with all the educating that much smarter SEOs than myself do on blogs, and the like…how much mystery there still is around ranking in Google Maps. The individual above reminds me of myself, trying to learn Ju Jitsu. There are a million combinations, and the only one seem to currently remember is the one being taught to me in the moment. And even then, a single…move we will call it…may have a many parts and I can usually manage to remember a couple pieces. What I am trying to say here is, I sympathize. I think the most important, and basic thing you know is that in ranking in Google Maps, there are multiple algorithms at play. In fact, you can look at a pack (local maps results) and believe it or not…you’re looking at different algos. More specifically, sometimes each position in that pack (now a 3 pack) is controlled by a different algo. Not always. Consider this. You’re in second position, building all the damn citations you can think of…and nothing. You are FAR superior to the person above you. Maybe you’re even doing some other link building. But what if the top position was controlled by an organic algo? What if you knew that you could take the gas off of citation building, turn it up on link building and boom…you take top spot. Well it kind of works like that. I won’t go into the how, as I’ve written about that previously, but it’s worth looking into. So, multiple algorithms. The two major ones are local and organic of course…the topic of this guide. And a third…a hybrid of the two that folks like to call blended. The local algo is sometimes referred to as pure maps. Or pure local. I’m sure there are some other names for it too, but for all intents and purposes, let’s just refer to it as local or the local algo. The local algo seems to respond to a good number of things, the more obvious ones being citations, or reviews. In fact, if I had to pick to local factors to focus on, it would be these two…factors. That’s not to say that others aren’t important, but rather that these seem to be the biggest influencers to the local algo. Think of them as kind of the link building of local SEO. I could talk about them for days, but I will leave that for a later guide. Is your GMB page in the city you intend to rank in? If not, you’re fighting up uphill battle. While you can manage to show up in other cities/towns, I would never bet my supper on it. And when it does happen, it’s usually because there is little competition. Small city or something like that perhaps too. Speaking of city, some folks argue that your proximity to that city center as either Google determines it, or perhaps the majority of top ranking businesses are grouped (centroid), matters a good bit. I used to see this, and admittedly moved the pin a time or two, three, four, LOTS! But, I don’t see it anymore. So don’t bother much with that IMO. City, state (or province) in basic places like…title tag, meta description, heading tags, content, headers and footers. Using schema markup to make it even more clear that this is your business information (name, address, phone). Full name, address and phone number sitewide for less than…5 locations. Any more than that and you should probably be thinking about local landing pages. Again, this is an entirely subjective area, but in my career this is where I have put my money, and my resources. I actually find organic to be more straightforward than local. I think this has a little to do with the reaction time. Cause and effect. If I do something to promote better organic standing, I’ll know if it worked pretty quickly. For example…I get a brand new client and one of the first things we do is optimize the title tag and meta descriptions. If the site is half decent, and hasn’t previously been optimized, that sucker is going to jump. Cause and effect. Build a high quality link…as long as it’s as good as I think it is, and Google agrees…pretty quickly…jump. Versus local, where you build 100 citations…you aren’t going to see local movement for months. By that time you’ve done other stuff and WHO KNOWS what really did it. In my mind, the organic algo responds to four main things. Links, onsite factors, CTR and user behavior. Let’s talk about each of them. I want a link that is local, or niche specific. This is more important to me than authority, though I am not going to turn down a link from a big site. Foundational links are a good way to prime a site. Lay a diverse, natural looking foundation, which will enable you to be a bit more aggressive in further link pursuits. Diversity in everything…types of sites, anchors, TLDs, types of links. Link velocity. No natural site is going to get a big allocation of links on the 30th of every month (when you do your link buy for your client), so keep it coming, and keep it regular. Links that deliver any sort of traffic, are ideal. More ideal are links that deliver traffic that moves around your website in a positive way…reading lots of content, filling out forms. And that’s all and well, but the biggest question folks generally have about link building is how? Or what next? A topic for a later date I am afraid. Onsite factors…this is a biggy, but it doesn’t have to be. These vary with every site. Every approach is just a little bit different, but there are a few things that seem to stay the same, and are important to me when I am trying to rank a site in Google Maps. Remember, that’s what this guide is about, what to do, at minimum to rank in Google Maps. So as to keep this short, let’s assume this site is healthy…no duplicate content, etc. Title tags, meta descriptions, headings, content (a good bit of it) and all that good stuff should be well written and optimized. All the pages. Don’t skimp here. No thin pages with tiny bits of content. Of course one could go way deeper than this, but with most sites the basics will do. Much smarter folks than myself have put good guides on this together, namely Moz. CTR or click through rate has become a bit of a big deal. Believe it or not, I have sat in conferences, watched a whole whack of people in the room click on the same listing from their mobile devices, and see the listing shoot through the roof. It’s a tough thing to fake, but you can do things to improve it. If you can get them, review markup done the right way (I am not expert) will put stars in your organic listing. Authorship might be making a comeback, so having that setup isn’t a bad idea. Powerful title tags and meta descriptions make a big difference. And just general placement on page has a huge bit to do with it. If you’re at the bottom, you aren’t getting clicked! User behavior is a topic I am only now learning about. I use a lot of tools that give me insight into how my audience (traffic) is making their way through my site, and optimize for it. 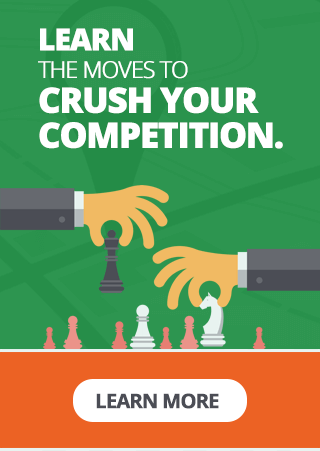 I want my traffic to stick around, find what they need, and devour content. I also want them to take action, filling our forms, and interact with other site elements. The last thing you want is Google recognizing that folks come to your site, and jet asap. It would suggest that they aren’t finding what they want, and thus Google isn’t putting the right person/site in front of them. If you were only to read one sentence of this entire guide, it should be this. 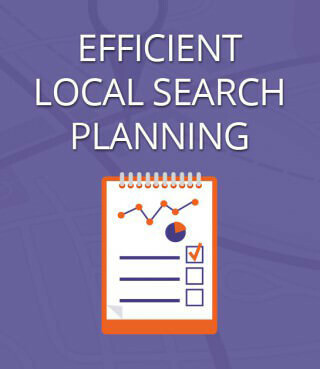 Local requires a balanced approaching, including link & citation building, reviews, GMB & website optimization and if you want to stay ahead, user behavior engineering. This is the formula I use, and foresee using for many months, and likely years to come. While a lot of folks seem to say that SEO has changed so much over the years…I don’t really see it. I feel like I can get away with less. I need to be performing at a higher level. But beyond that…I am doing what I’ve just about always done, and the rankings and what results of them continues to be there.